Naslovnica / Nizozemska: V bolnišnici legalno ubili dementno bolnico! Ko država uzakoni evatanzijo, sledijo likvidacije. Najprej med dementnimi, hudo bolnimi in revnimi! Once assisted suicide is made legal, the definition of who is eligible for it inevitably expands. Recent news from the Netherlands illustrates how its euthanasia regime is among the world’s most permissive. It shows no signs of slowing down. Aurelia Browers, a 29-year-old mentally ill woman, was granted her wish and euthanized last weekend, demonstrating the slippery slope confronting those countries in which euthanasia and assisted-suicide laws are becoming ever laxer. Evidence suggests that Dutch physicians do not consistently follow the protocols intended to regulate the practice. News of Browers’s death follows grisly reports that an elderly woman with dementia was involuntarily euthanized in the Netherlands. In neighboring Belgium, laws exist that allow for children to be euthanized. Cases in the Netherlands show the most troubling reality of euthanasia laws: their widening use based on subjective criteria. Euthanasia is advertised as “dignified death” for those suffering from a terminal illness. But the euthanizing of a young woman on grounds that she suffered from a mental illness shows the false advertising of the “death with dignity” movement. When an apparently healthy young adult can legally end her life because of her mental illness, it raises legitimate questions of where that trajectory ends. Where the practice is prohibited, advocates are quick to highlight stories of bone-jarringly sad situations of patients with perhaps a neurological cancer slowly crippling their cognitive and physical abilities. Testimonials from family members are promoted to tug at heartstrings, appealing to lawmakers to pass laws that enable loved ones to be relieved of their suffering. Euthanasia advocates are less forthcoming in admitting how euthanasia laws end up loosening over time and how once-strict controls with respect to the conditions and ages of patients eligible for euthanasia inevitably broaden. Where euthanasia is legalized, the justification for its use expands over time. In the first year of California’s End of Life Option Act, 111 individuals ended their lives under its stipulations. If California follows global trends, more and more Californians will commit state-sanctioned suicide. Pope John Paul II warned against such a “culture of death.” And let us be clear: It is the culture of death that is staring down the West. At best, euthanasia advocates aim to relieve suffering out of compassion and mercy. At worst, they operate from a utilitarian and anti-life worldview. In that dystopia of hyper-autonomy, human dignity is defined as the ability to choose, with no reference to moral law. As potentially insensitive as it might sound, the implications of one person’s suffering pale in comparison to how the morality of euthanasia impacts society’s broader understanding of suffering and the response to it. I do not mean to overlook or disregard genuine human suffering when I point out the repercussions of legalizing and medicalizing the taking of human life. Slowly, the culture of death overtakes commitment to the sanctity of life. Such a culture promises that pain and suffering can be eliminated, while overlooking the deeply human experience that comes with suffering. It makes a Faustian bargain, on the assumption that one person’s death by choice will not have implications for the weak and vulnerable across society. This culture begins to make utilitarian calculations, discounting a person’s worth and dignity in the process of measuring the cost of his illness to an insurance company or a state’s budget. Death is thereby subtly invited, even encouraged. There are better ethical responses to suffering than suicide. An important principle for public policy is up for debate when euthanasia enters into consideration. Once assisted suicide is legalized for cancer patients, why should it not be available for the mentally ill? Or for alcoholics? It is, according to a growing body of evidence. 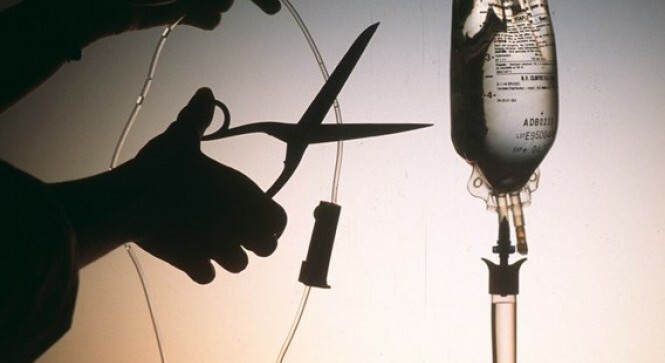 The regime of euthanasia is hard to restrict once it gains a legal foothold. As the Netherlands shows in the tragic case of Aurelia Browers, euthanasia laws raise a crucial question: Where do we draw the limits to the practice? Once we sanction the practice even to the smallest degree, arguments for expanding it just a little more will ensue, and before long any restrictions to it at all become hard to justify.